There are women who are so beautiful it can be disruptive. Their entrances provoke stutters, missteps, spilled drinks, and sometimes a brief catatonic state that can be particularly embarrassing to those affected. After everyone rights themselves, things resume, except that everything else in the room is now a bit dimmer than the feminine creature that just took command of it. Debbie Carroll dresses are no stranger to the red carpet. To date she has designed for former Miss Nevada 2012, third runner up Miss USA, and Miss Nevada 2014 Nia Sanchez. International pop star Nayer and Shana Moakler of VH1 Hollywood Exes have also been clients. Ring girl Michelle Ulibarr was also recently seen wearing the signature backless lace Debbie Carroll at the MMA Awards here in Las Vegas. Her dresses are in high demand, and a lot has been happening for this talented young Vegas designer since our last interview, only a few short months ago. Email inquiries are flooding in, and she has much in store for 2014. “I did my first photoshoot for the upscale mens boutique Stitched at the Cosmopolitan hotel. My dress will be featured in the campaign in Seven magazine for a year,” says Debbie. She is also working on her first bridal collection, Debbie Carroll Bridal Couture, for a Las Vegas client. She will be custom-designing her wedding dress as well as the bridesmaids dresses. 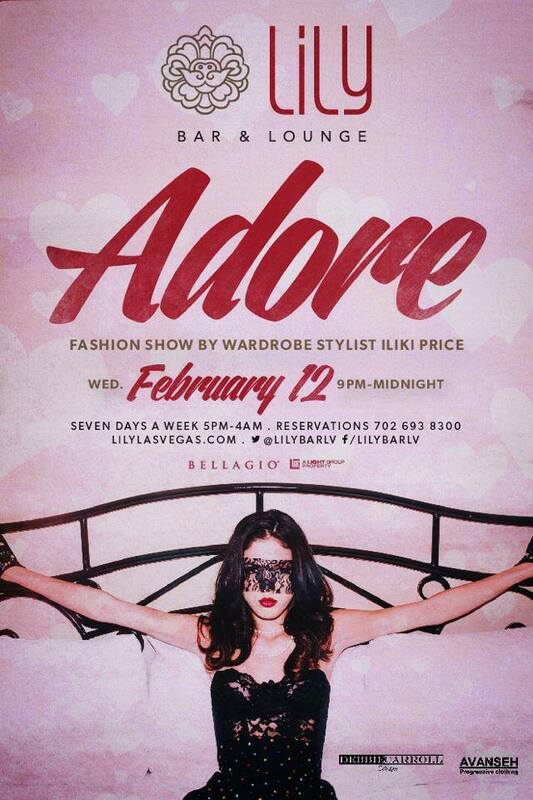 Debbie Carroll designs will be showcased in a fashion show this Wednesday February 12th at Lily Lounge at the Bellagio. You can see more of Debbie Carroll Designs on Facebook and Instagram. If you havenâ€™t already, follow me @fashionfeedlv on Facebook, Instagram and Twitter. Photos curtesy of Debbie Carroll Designs and Lily Lounge Las Vegas.